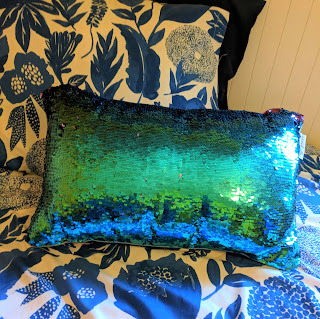 Mermaid Pillow Company features inspirational sequin pillows and bracelets seen on the TODAY Show, Parents Magazine, Parade, and Woman’s Day. They even have an eCommerce for Kids course that is teaching kids valuable skills to build a business from the ground up and empowering them to give back to many non-profit partners. Tom Sailors, Mermaid Pillow Company’s founder, started this business on a small scale, but with the help of his children, it grew to bring in $10 million last year. Since day one, Tom’s enthusiastic kids have played an integral part in the business - they help design every pillow on the website, help create the videos and write scripts, and even visit the warehouse with him to make sure everything stays in line. This gave them direct exposure to starting, running, and growing an ecommerce business. Tom captured these impactful lessons from starting Mermaid Pillow Company, and distilled them into a hands-on, step-by-step online course that takes kids (and their parents) through the process of designing, marketing, and selling their own mermaid pillow on mermaidpillowco.com. What they are seeing as a result of this online course, is that kids are choosing to design a pillow for one of the amazing non-profits they have partnered with including Alex’s Lemonade Stand and the American Heart Association. Mermaid pillows feature a kid friendly illustration and positive message on front. They are super cute and so unique! We recently received the first pillow they created, the IMAGINE Mermaid Pillow w/ Aqua & Purple Sequins. This style is designed for the dreamers, the creators, and the all-around joy seekers. 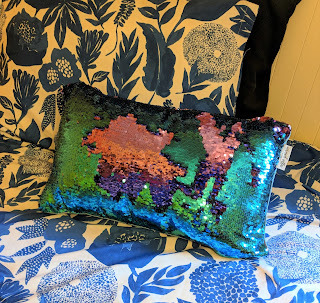 With the front featuring a huggably-soft mermaid design and the back comprised of aqua and purple sequins (which can be moved to produce endless designs), this pillow is a beautiful canvas for creativity! It fit perfectly on my daughter's bed and the fun sequin back allows her to get creative! Mermaid Positivity Pillows are the first ‘mermaid-style’ pillow created just for kids. 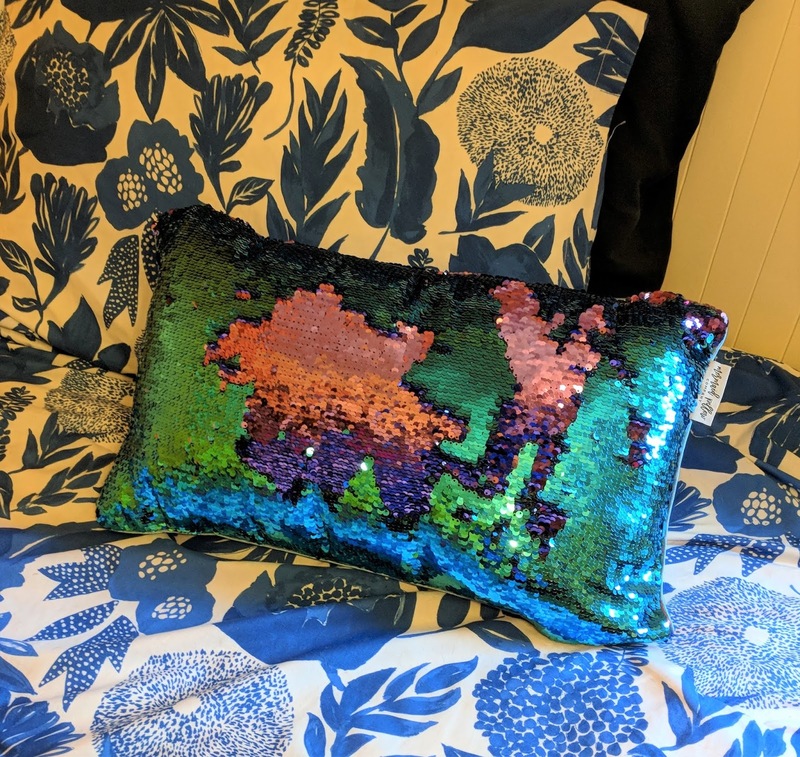 Each pillow features a kid-friendly illustration and positive message on the cover, plus colorful sequins on the back that kids can ‘draw’ on with the simple swipe of a finger or hand. Available in a variety of colors and styles, these pillows are the perfect gift to bring an extra touch of sparkle, magic and joy to any child's room this year. For more information please visit here.